On 15 November 2017, the European Academy of Sciences and Arts awarded the Rings of Tolerance to Prof. Dr. Avishay Braverman (Tel Aviv, former President of Ben-Gurion University and former Minister of Minority Affairs), Imam Rabeya Müller (Cologne, Manager of the Institute for International Pedagogy and Didactics) and Reverend Dr. Mitri Raheb (Bethlehem, Founder and President of Dar al-Kalima University College of Arts and Culture). The event took place at the Wallraf-Richartz-Museum in Cologne and was attended by around 200 guest from cultural and educational institutions, the local government, and from industry. The Festive Speech was delivered by the Prime Minister of Nordrhein-Westfalen Armin Laschet, who is also a member of the Academy. 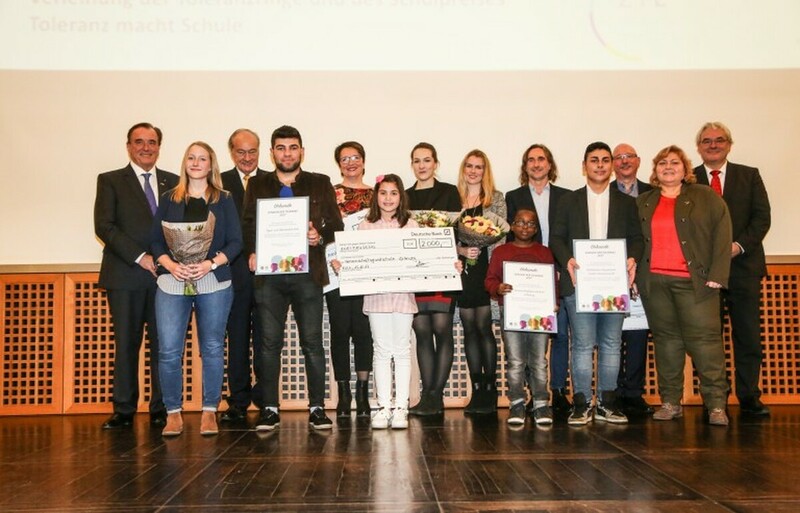 It was the first time that the Academy honoured, in cooperation with the Center for Techer Education of the University of Cologne, three schools for their services and contributions to respect and tolerate each other.